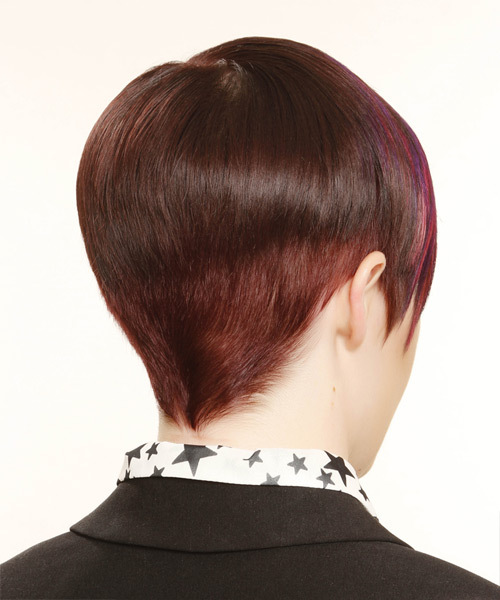 This multi-colored-'do is clipper cut short through the back to maintain a neat look and feel, while the front and sides are smoothed down to contour the head for a sleek finish. 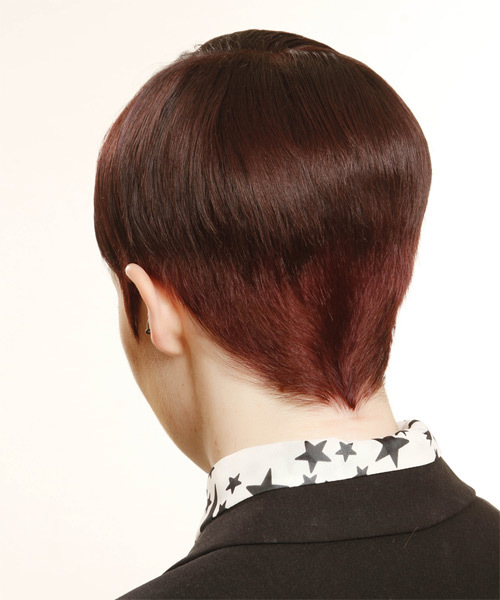 Splashes of color through the top gives the over-all hairstyle contrast and completes the over-all 'do brilliantly. Apply gel-wax to the palms of your hands, and then starting at the top-back area, drag your hands forward, flattening your hair down as you go. For a wetter look use more gel-wax. Apply gel-wax to your fingertips then gently rake through your bangs, sweeping the hair to the left as you go. Gel-wax will give you shine and a soft hold.